The company says the machine should be available in late 2019. What if you no longer had to spend valuable time folding all of your laundry? A new machine made its debut at the Consumer Electronics Show this week and it could be a game-changer. 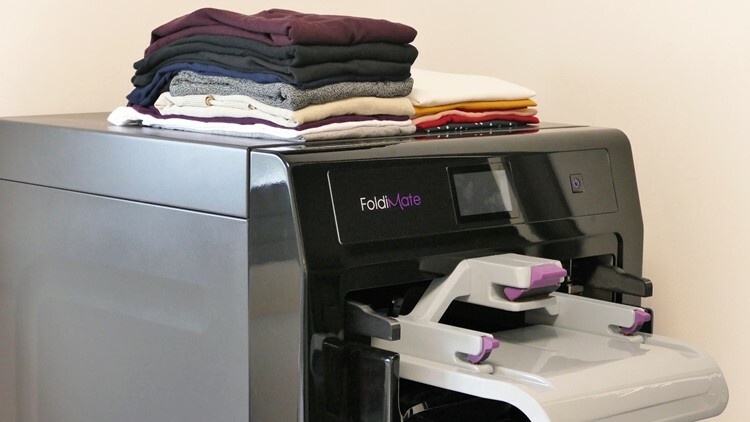 The FoldiMate will do all of your folding in a matter of minutes. According to the product's website, it can fold a full load of clothes in five minutes. The downside is that the machine can't fold infant clothes, sock, underwear or bed sheets, though the website says it can handle bath towels and pillowcases. "Smart robotic technology automatically adjusts the folding method based on preferences, item type and sizes," the site says. The FoldiMate will also cost you roughly $980, according to its website, though the company notes that the price is an estimate that may vary by region. When can you add one to your home? FoldiMate says it aims to have the machines ready to hit U.S. homes in late 2019, but there is no final launch date at the moment. Learn more about the FoldiMate and join a waitlist for the product here.